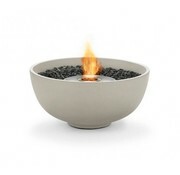 The ideal accoutrement for intimate gardens, alfresco dining settings, bars and restaurants. 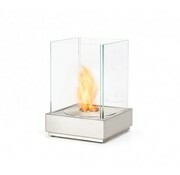 A simply but beautifully designed bio ethanol fireplace. 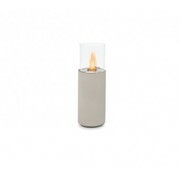 The freestanding, portable Mini T is the solution for illuminating spaces and creating ambience. 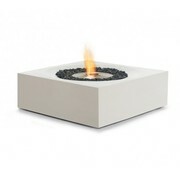 Solstice combines the warmth of a glowing fire with the convenience of a functional tabletop in a compact form. 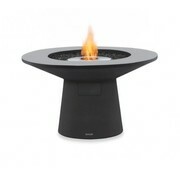 A welcomed feature in any outdoor setting. 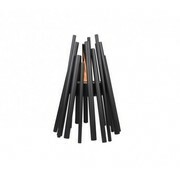 Be creative and configure to suit your needs. Available in Natural, Graphite, Bone or Rust color. 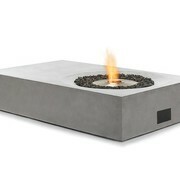 Rise makes a big statement in even the smallest spaces. 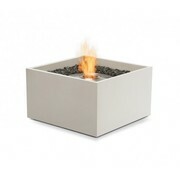 Housed in a footprint of just 28” it is ideal for intimate spaces or smaller gatherings. 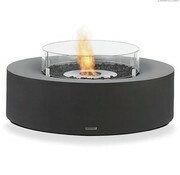 Rise is ultra flexible and can run on bioethanol, natural gas or propane. Loop calls to mind a relaxing seaside escape. 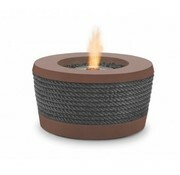 From its unique combination of materials - textured, nautical rope paired with a smooth concrete finish to its vibrant flame in your choice of fuel type (choose bioethanol, natural gas or propane). Kove is the perfect complement to any curved or circular furniture setting. 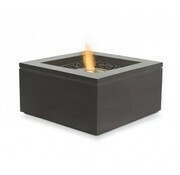 Its round shape and soft lines is naturally inviting for friends and family to gather around and share in its warmth. Kove also features a functional ledge for food and drinkware. 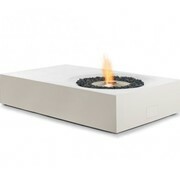 A fireplace with a contemporary twist on the traditional camp fire. 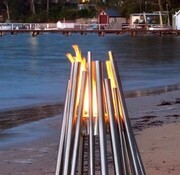 Stix consists of varying sized tubular stainless steel •sticksê, creating a visually striking fire for outdoor or indoor. 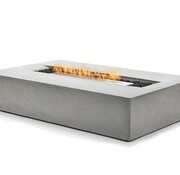 Available in Stainless Steel or Black Coated Steel. 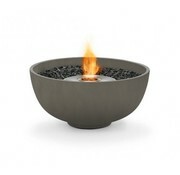 Inspired by the shape and form of traditional pottery, Urth brings a modern update to the classic fire pit. 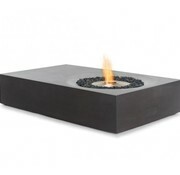 Its smokeless fire provides a warm and inviting outdoor centerpiece to gather around and relax. 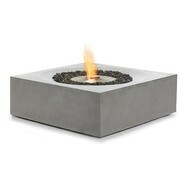 Available in Natural, Graphite, Bone or Rust color. As a chat height table, Quad is a destination for guests to come together. 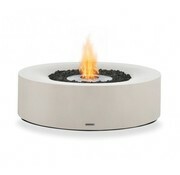 Quad can be customized with bioethanol, natural gas or propane burner depending on your needs. It's a stunning feature equally at home in a residential or hospitality environment. 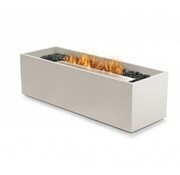 Mesa is the definition of form and function operating in harmony. 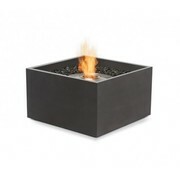 Its trendsetting design coupled with generous usable surface and subtle features puts it a class above. Mesa offers comfortable legroom, ample table space for serving ware and drinks. Lumenês unique and creative detailing mimics dappled light filtering through the sun drenched trees. Available in white or patina bronze finish, it is set aglow by its bioethanol-fueled flame. 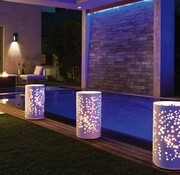 Enjoy Lumenês radiant light for up to 12 hours at a time.